Home > Columns > John Manzione > Shouldn’t The Economy Play A Role? Shouldn’t The Economy Play A Role? Just about every nation in the world has been in an economic funk for the past several years. Does anyone doubt this? Growth, even where it does exist, is anemic, barely alive, and especially weak. Well, except for China. China is, like or not, the bank in a game of global monopoly. But even they are not immune to the effects of a downturn of this magnitude. Still, this isn’t about China, not really. It’s about economics. If the Obama administration is truly concerned with the economy, if Obama himself can be believed when he talks about jobs, then the regulations coming from the FDA should, and I stress, “should” amount to no more than “we’ll continue keep an eye on it”. That’s not likely to happen, so whatever does get proposed in April should be held up and used to compare what Big Brother says and what Big Brother does. The outcome of the FDA’s “deeming regulations” should be seen as the “proof in the pudding” of the trustworthiness of the federal government. The eCigarette industry is many things, and one of the most important is that of a vital economic sector. It is an industry that should be embraced, not ridiculed. It should be held up as an example of ‘finding a better way’, as proof that human ingenuity is still the best way to solve a problem, not government intervention. Yet, the opposite seems to be the order of the day. We are all looking toward April 2013 as “looming on the horizon” like asteroid 2012 DA14, or some other disaster that “might” happen. We are nervous. Vendors are cautious, stashing what profits they can while at the same time trying to invest into their growing business. They are walking a tightrope right now. Can you blame them for being worried? You know, or you should know, that the real unemployment numbers in the United States is several digits above the reported 7.9% of the workforce. The real percentage of out-of-work Americans is more like 14.5%. That’s a lot of people wondering what is going to happen to them if it doesn’t get better, and fast. It’s no secret that when someone’s unemployment insurance runs out and they still haven’t found a job they are no longer counted as being one of the unemployed. Let me say that again, a little clearer so those that have any faith left in the federal government can understand it: If you are unemployed and collecting unemployment benefits then you are countered as being one of the unemployed. When those same benefits run out and you are still unemployed you are NOT countered as unemployed. You disappear. See the problem here? Millions of people have given up though, and they have applied for, and received, Social Security Disability (almost 9 million Americans are now “permanently disabled” according to the government). Worse still, in just about every sector of the economy two things are happening at the same time; the prices of goods and services are going up, and the demand for these goods and services are going down. That used to be an ‘impossibility’. Not anymore. The electronic cigarette industry is booming. Every day more people are discovering eCigarettes, more people are starting companies to meet that demand, and the unemployed are either creating their own job in the industry or are being hired by those that have started a business in our industry. We are a shining light on an otherwise dismal landscape of a deathly ill economic reality. As a Vaper I’m sure you’ve experienced a few “backordered” or “delayed shipping”, emails from your favorite vendors lately, especially in the last 6 months. Demand has been outpacing supply, a sure sign that in this sector things were looking up. We haven’t even begun to see where the demand “could” go if left alone (or at the most, minor regulations designed to assist good companies, and eliminate the bad ones). I try to hope that there are enough capitalists left in Washington who understand this, but it isn’t easy. The Chinese and American/European relationship is personified in the electronic cigarette industry. The huge success in eCigarettes is proof of how important it can be for the world economy when China and the rest of the world work together to provide a product that millions and millions of people want, and at a price they can afford. This is happening at a moment in history when it is needed most. With the world economy in a major downturn, and the Chinese workforce exploding (yet still cheap), this industry could be the very thing that fosters real cooperation between old enemies. The numbers of tobacco users who want to ditch tobacco are the highest ever, providing the fuel for a major economic boom for everyone involved in the electronic cigarette industry. It’s a perfect storm, but instead of destruction in its path there could be a huge improvement in the public health, a solid structure for the Chinese workforce, and the creation of hundreds of thousands of high paying jobs in American and Europe, not to mention the tens of thousands of new entrepreneurs both here and abroad, all helping to provide an essential product in the fight against tobacco. These are all good things. In twenty years we could look back at this period in history as the turning point in the scourge that was the act of smoking tobacco. People could be healthier, living longer with less medical bills, and enjoying life will into their eighties and nineties. But will we look back with fondness in what we’ve helped to create, or will we look back and wonder why we allowed people that we elected to dictate to us what we can, and cannot do. When you think about it, this whole thing with eCigarettes and regulations is sort of sad/funny. The same people who are poised to kill an important industry because they believe “its not good for us” are the same people that will fight to the death a woman’s right to choose. A woman can decide to abort a full-grown 33-week fetus, yet people that want to use electronic cigarettes are faced with the real possibility that they won’t be able to. Isn’t that a little twisted? American entrepreneurs in the electronic cigarette industry are not only making money for themselves, they are providing jobs by the thousands, lifting other industries out of the doldrums, and changing people’s health for the better. When you look at it like that, and it’s no exaggeration to do so, the owners of every eLiquid brand, every vaping supplies vendors, every owner of a retail store where vaping products are sold…are god damned economic hero’s, they don’t deserve to be the people who are counting down the days to April like they were on death row. 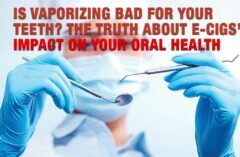 There is ZERO doubt in anyone’s mind that electronic cigarettes are at least 100 times less harmful than tobacco cigarettes. Shouldn’t this fact alone absolutely guarantee that ANY regulations forthcoming from the FDA should be minor? That even the possibility that the FDA would force eLiquid companies to limit their products to extremely low levels of nicotine and offer them in only ‘tobacco and menthol’ is just insane? Jesus H Christ, isn’t ANYONE in the government thinking? Knowing that the economic impact that electronic cigarettes already have without even having gone mainstream yet has been powerful and positive, albeit quite small in a 3 trillion dollar economy, wouldn’t you think that every government would welcome the industry into their country? Wouldn’t you think that bans on the product, from city/state/federal agencies would be considered stupid, ill advised, and the act of a political zealot? Yet all you need to do is type into Google “Where are eCigarettes banned?” and you’ll be greeted with 1,270,000 queries in return. Again, this is a problem. I am so tired of all this nonsense, this unmitigated ignorance coming from a bunch of buffoons with no ‘critical thinking’ skills at all . 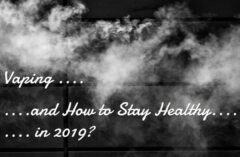 At this point in the short history of the electronic cigarette no one, NO ONE, has gotten sick, caught a disease, grew a tumor, coughed their lungs out, or even so much as caught a cold. Yet some idiots continue to talk about “potential” problems when the problems with tobacco cigarettes are far from “potential”, they are very real. I hate using old clichés, but my God, where is the disconnect? Why is it that has some people, including those whose job is to help grow the economy, so blind that they can’t see beyond their own biases? Why are they so adamant about condemning a product that has such a positive implications on the population? If the people we elected really cared about jobs and the quality of life of their constituents then the coming regulations will help the industry grow, not hinder it. The FDA would treat the reality of eCigarettes as an industry to foster, not an industry that must be stopped. They have a chance to do something positive, but will they? Some eLiquid Artists are running into issues of meeting demand. They are trying to expand their production facilities, they are hiring people, and they are paying more in TAXES. Hardware vendors are doing the same thing; hiring more people, paying more taxes… and all with a product that is so much safer than the product it is replacing that even the squirrel that lives in the tree in my yard can understand its importance at this very unique period in time. Yet, more bans on the product are being levied every week, and the vendors that are trying to keep up are becoming frightened with the possibility that all their efforts will be for naught. They are growing because they have to, and they are being cautious because they have to. Yet, with the phenomenal success and track record for this industry the future could be extremely bright. Can you think of another sector of our economy that is growing anywhere near that of the electronic industry? Can you think of a better way to keep China as a valued partner to the free world? Can you think of a better way to repurpose America’s tobacco farms? And lastly, can you think of a better way to get stubborn smokers off tobacco cigarettes than allowing them to switch from a deadly product to a safe one without so much as a single moment of discomfort that comes with the physical symptoms of addiction? Our economy, and the economies of Europe, Asia, and the rest of the world, would benefit from a growing electronic cigarette industry. Isn’t that what’s important right now? If electronic cigarettes are safer than tobacco cigarettes (and they are), if the effects on the economy are positive (and they are), if the cost of medical care could be reduced by billions of dollars in the first 5 years alone (and they would be) by a major switch to eCigarettes, then for the love of God, what the hell are we doing?